Guess what? Tomorrow (December 18, 2016, 8:00 AM PST) the Kindle edition of Nocturna goes on sale for only $1.99! It ends Christmas Day so get my book 60% off while you can! 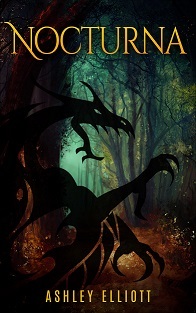 A kingdom inhabited by creatures of myth, Nocturna has existed since before the dawn of history. Valon Wess is unaware of this world like the rest of the humans on Earth. At least, he was until he’s kidnapped, joining Di and other humans on their unwilling way to Nocturna. Valon becomes the Dragon King Alexei’s first male concubine in a nation where humans are slaves. With his arrival bringing many changes to this monstrous society, Valon must learn to accept his position in this strange, ancient country as well as deal with his blossoming love for a man of a different species. Buy NOCTURNA to experience the pulse-pounding tale of forbidden love today! If you’re interested, buy it here at http://amazon.com/dp/1535364920.